Typically ships within 1-3 months. 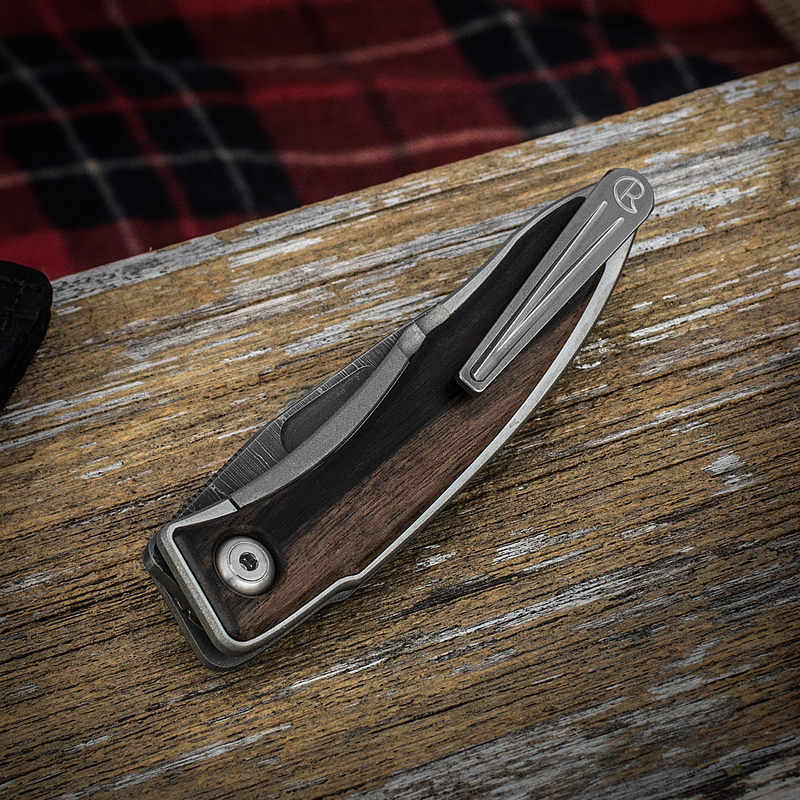 The Mnandi combines the traditional high quality performance you have come to expect from Chris Reeve Knives with the elegant qualities of a fine straight grain wood or bone to produce a stylish yet functional gentleman's folding pocketknife. This compact accessory is also appealing to the ladies. 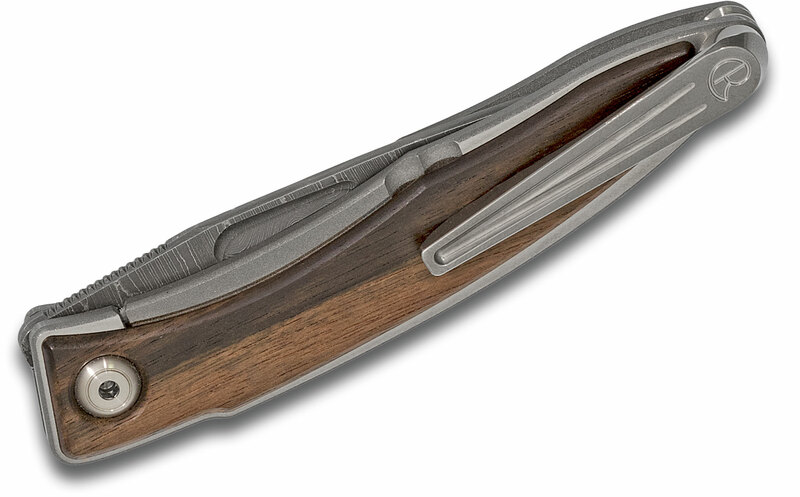 The Mnandi, pronounce mm-nun-dee, is accurately named from the Zulu word meaning very nice. 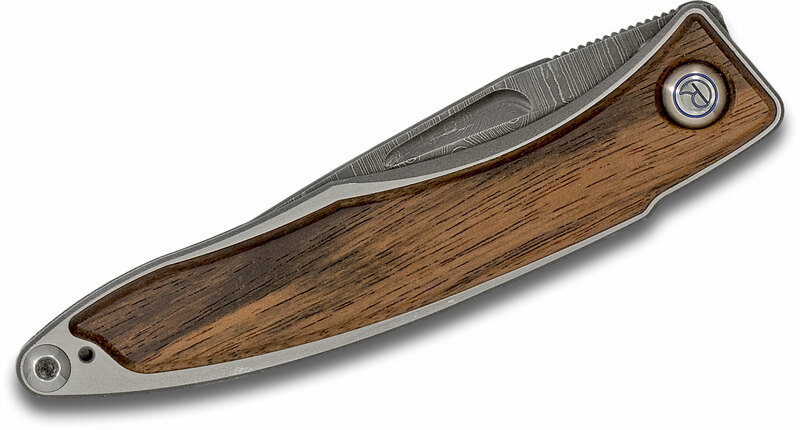 This elegant piece of art is designed with titanium handles which are inlaid with Macassar Ebony on the front and back. 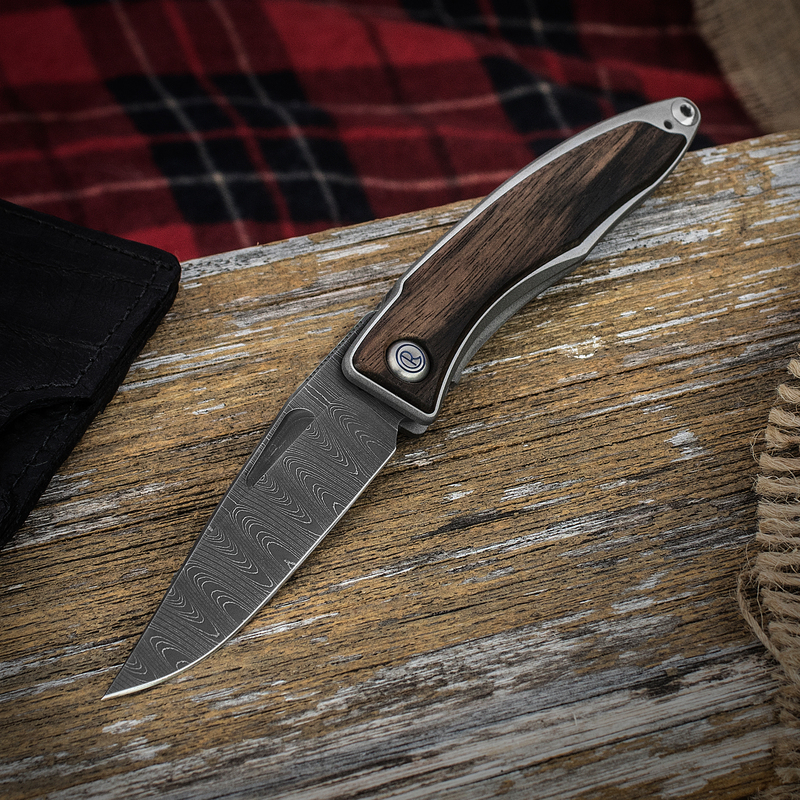 The durable stainless Ladder Damascus blade is machined with an enlarged thumb/nail recess for easy opening one or two handed. The knife is very light weight, only 1.25 ounces. 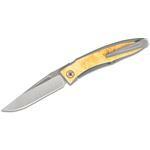 Its handle length is 3.6 inches, blade length, 2.75 inches and overall width, 0.4 inches. The pivot pin assembly is titanium and other assembly screws and pins are stainless steel. 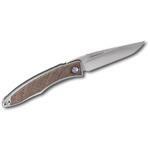 The Chris Reeve Knives Mnandi frame lock folding knife continues the tradition of high quality that you have come to expect from Chris Reeve Knives. 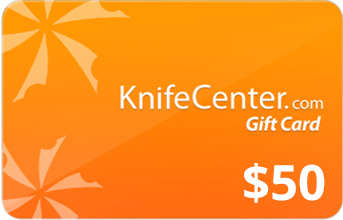 An elegant, functional gentleman's (or gentlewoman's!) 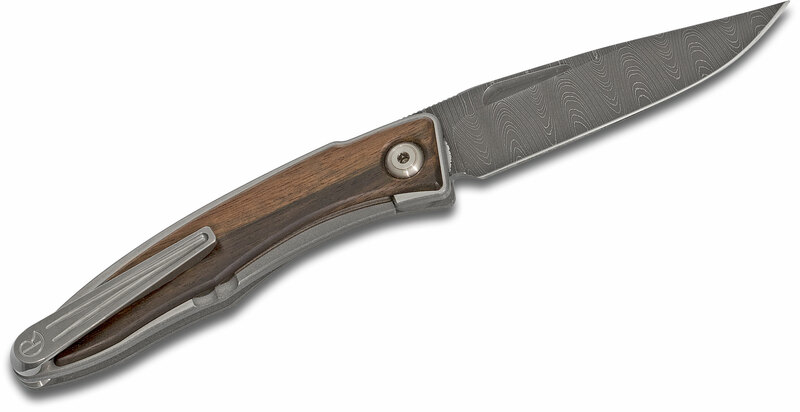 pocket knife, the Mnandi – pronounced mm-nun-dee – is accurately named from the Zulu word meaning "very nice". This is a one of a kind piece so once it's gone, it's gone. 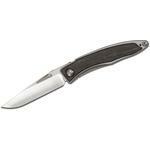 Hey, I wanted to share "Chris Reeve Mnandi Folding Knife 2.75 inch Thomas Ladder Damascus Blade, Titanium Handles with Macassar Ebony Inlays" with you from KnifeCenter.